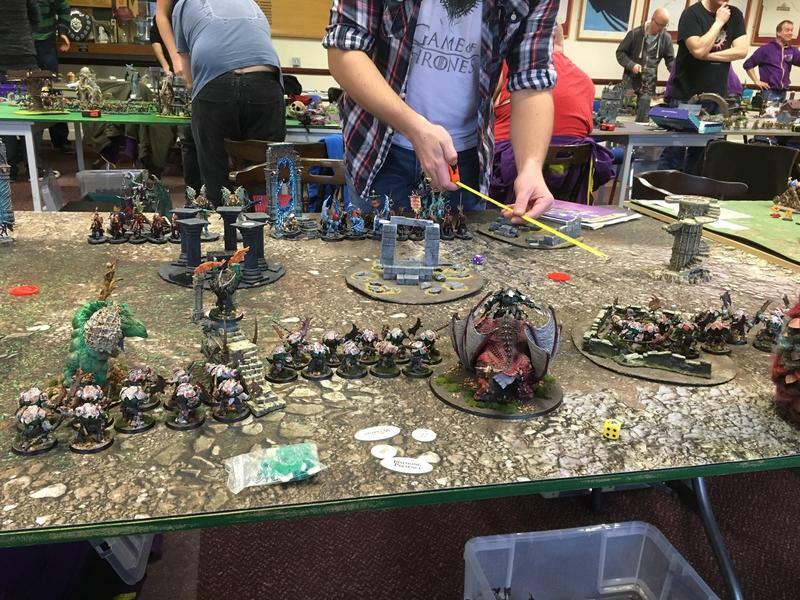 So had a blast this weekend at the Warchiefs GT, thought I’d rename this old thread which has some of my ramblings on and make some more ramblings. The event allowed the dual list format which I totally love in AoS and haven’t had the chance to play under since FHGT2016! Me and @Chris Tomlin had a second chance at “Might is right” grudge and agreed to take out fhgt2017 lists for that (essentially the same list except he had Daubing or mork and instead of Troggoth Hag 2 spear chuckkas and a weird nob, so a good even contest). Sadly krunk once again quailed at the thought Rotgors Giant Choppa, and we had to cancel. Though as they say 3rd time lucky so just more time for us to build up the anticipation! I’ll post pics of the lists at the bottom of this post. So Game one and I was drawn against @Dave who I faced game one at BLACKOUT. This time he didn’t have his Kharadron Overlords instead bringing Beastclaw raiders and a Braggoths Beasthammer list (with butcher and hunter and some dogs). Having acquired some decent plate for my brutes last game we played I was keen to get some nice pelts for da ladz as we are moving into winter. Obviously there was only one list I could use for this game who doesn’t want to see Pig on Pig action! As I knew he would out drop me I set up only 8” or so on with most units basically flanking my army with pigs and a chanter then 5 Brutes then the 10 with the other characters roughly in the centre. He set up with his stonehorn on my right flank and spread the pigs and mournfang out one after the other (to get the formation buff) butcher and dogs in the centre and then hunter off board. This was a custom scenario which could lose 6” of any board edge each turn from T2 the objectives are basically the old border war with one extra in the middle. He gave me turn one so I basically advanced full speed on my left and then moved my right flank left as well so the army took on a crescent formation with the idea that I would carry on the advance to turn the battlefield lengthways. This tactic is great if the opponent has overloaded one of their flanks (in this case a Frostlord) as it increases the distance they have to cover to close on your lines, plus if you get the T2 priority you can slam into the sides of their units and disrupt their lines by limiting the attacks back at you or even using their own units to block each other’s from charging in return. in my turn two my left gorepigs charged and killed the hunter, the Mawkrusha flew over and charged and killed the last Pig and 3 sabres (the last one on one wound) the troll hag vomit and 8 Brutes dealt with the 4 mournfang and the Warchief the last piggie. overall major victory and 2000 - 320 on VPs but as is often the case with games this doesn’t do the game justice, the failed stonehorn charge and befuddled in the mournfang, followed by back to back double turns decided the game I’ve often pondered about the fact that when you can get double turn (like Dave did) you then open yourself up for a double in return, trouble is he had to take the double turn otherwise I’d have got to charge him anyway. A common issue with 2 combat armies facing each other. I think I played the first turn perfect (except for the micro inch hang over 6” for the troll and chanter) the extra inch or 2 of space contributed to the failed charge (he rolled a 5 or 6 I think) Dave played well, running the mystical gauntlet can sometimes work sometimes not (he put everything In range to get them all buffed if possible) he maybe should have ignored the right objective and kept the 2nd mournfang with the group to get a bigger punch when he committed but the only “mistake” as such was charging 10 Brutes with 3 gorepigs that was only ever going to end one way I would have targeted the 5 Brutes because even if I then countercharged with 10 Brutes they would have been taken out of the game for another turn meaning I wouldn’t have been able to take out both the mournfang and stonehorn at the same time. Overall a great game and loads of fun player in Dave, can’t wait for round three to what he brings for me to add to my new armour and winter pelt blankets ? Me and @Chris Tomlin had a second chance at “Might is right” grudge and agreed to take out fhgt2017 lists for that (essentially the same list except he had Daubing or mork and instead of Troggoth Hag 2 spear chuckkas and a weird nob, so a good even contest). 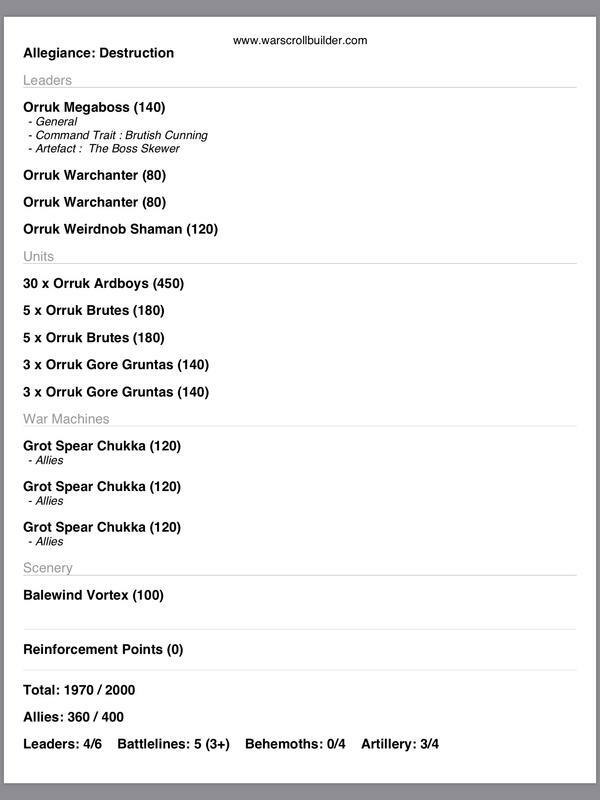 Sadly krunk once again quailed at the thought Rotgors Giant Choppa, and we had to cancel. 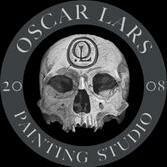 Though as they say 3rd time lucky so just more time for us to build up the anticipation! I complete forgot that this was indeed the second time I've cancelled on you!! Oh dear...you'll start to think I'm running scared or something! It was indeed with a heavy heart that I dropped out of this event. Not only did we have our game I was looking forward to, but also I knew the social side would be awesome and I do like to support the Warchiefs in general as they have done so for all my events. But yeh, unfortunately it was the correct decision for me to mark for a number of reasons. Anyway, all that aside I did enjoy texting over the weekend and living the event vicariously through you. Great first report there, really cool to have so much detail and I look forward to reading the rest. also don’t worry I wasn’t cranking up the banter train just yet will save that for the next time we resurect “might is right” it was more to explain why I took the FHGT2017 list ? Can I ask you please to post a close up of your Troggoth Hag? I'm due to start work on mine soon, and I wouldn't mind seeing how you've tackled her. @PlasticCraic short answer for troggoth Hag is no, as she temporarily looks a bit naff, all it is currently is coloured shades over a white under coat just to get her tabletop ready. Long answer is that I also don’t have her to take a photo because the co-owner (yeah me and a friend got her together as there was a cheap one on eBay we both found and messaged each other about) currently has her to use with his sons ironjawz for a while. I won’t be doing anymore tournies till heat one and on Friday I received through my letterbox another 2 spear chukkas. I’m going to cycle through a few lists with these x3 and x2 with and without a warboss on boar with Waaagh banner to experiment with a few ideas plus I still want to try the brutefist out with 30 Brutes now I finnaly have 30 painted . That’s not to say that the hag is out, I’ve played 17 games with her in the list and she has only died 4 times and I’m 11 - 6 on those games. She is a very good ally and I feel a competitive option for IJ and I can see her making a return in the future for sure. I got to play a long time friend, clubmate and opponent Marcus Crawley. He has played death only in various guises throughout AoS and is a very competent player and great fun to play against. (he ended up being tied with 5 others for best sports for a mammoth 6 man dice off which was won by my previous opponent Dave Avery). 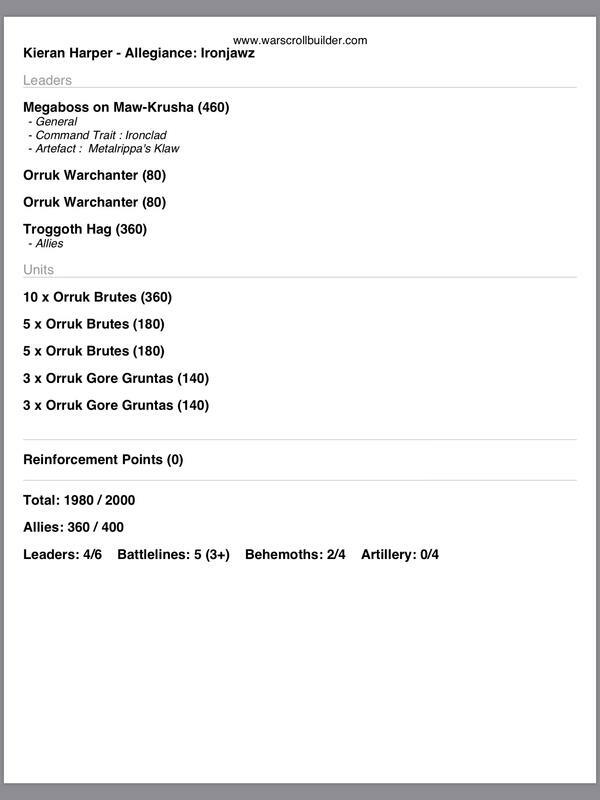 Marcus and I have had some epic Ironjawz v death games over the years it was him that I had gordrakk fail 2 mystical rolls in a row then go full on hulk-mode, charge and kill Arkhan 2 x 20 skeletons, get charged by nefferata and a necrosphynx, survive the latters attacks, kill neffy in a oner, then take the necrosphynx down to 4 wounds before Marcus got the double 6 needed to finnaly put Gorks Chosen down. It’s not all been one way traffic either it was marcus who first introduced me to the pleasure of mournguls hacking to pieces my megabrutes, or his blood knight charges cleaning off Ardboyz and the like. 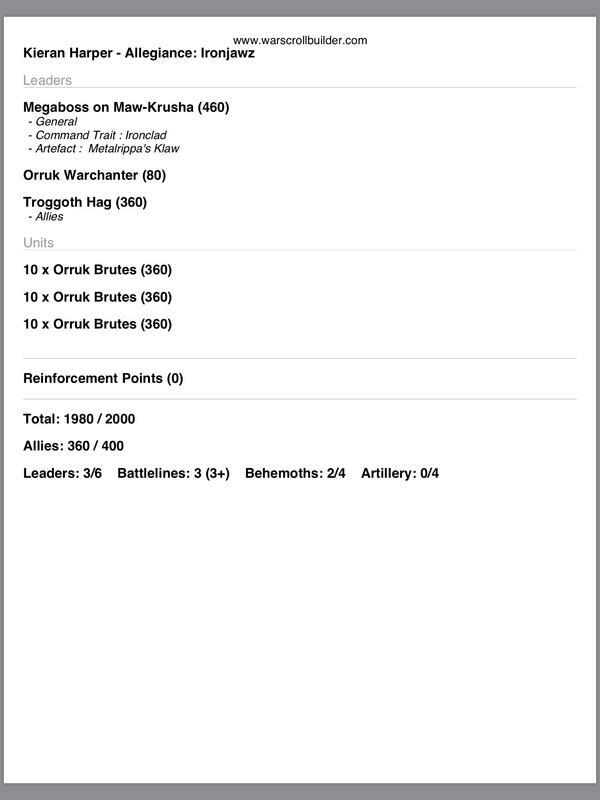 We had actually had a practice game together about 3 weeks ago and he had faced my maximum effort list and been torn to pieces (I think I lost 8 Brutes, 4 Brutes and the Mawkrusha only) this is an issue with 2 combat armies who gets the charge first can often overpower the other. In this scenario it was duality of death with an extra rule added, basically from T2 movement phase onwards every unit not 100% inside a piece of terrain would suffer a permanent -1 to their armour save for the rest of their game (so -2 in T3 -3 in T4 etc....) unless you were within the aura (12” decrease with wounds taken) of the Warchief model. 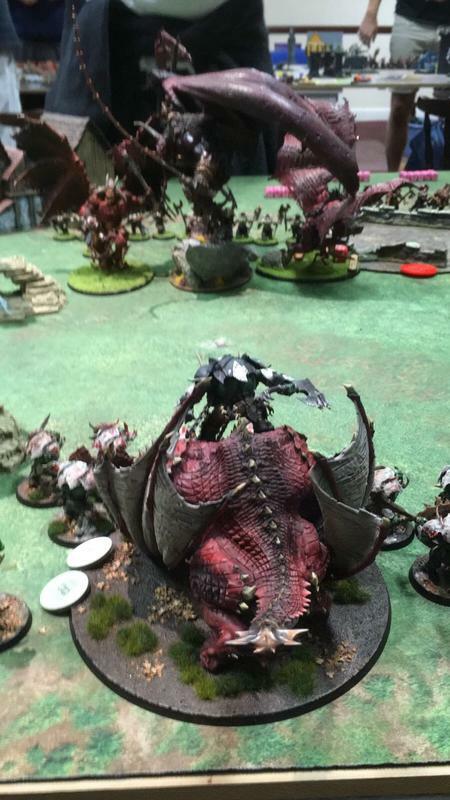 A normally great scenario for both of us (Mawkrusha and troggoth Hag, v coven throne and vampire on zombie dragon) that now suddenly was going to be very nasty for us as we both are combat armies that rely on high armour and wounds. becasue of the wording of the new artifact it would appear that all the coven thrones attacks can benefit from the new “battlebrew” this I suspect is not RAI but me and Marcus have discussed this before and solid chap that he is he has even emailed the faq team at GW for clarification. This hasn’t arrived yet so as in the last time we played I let him have the boon with no hard feelings or arguments. marcus successfully beguiled my 6 Brutes on the coven throne brought his morghasts into the troll hag, the 5 reserve bloodknights forward hard into my Warchanter, and then he charged his vargheists into my 6 brute who were beguiled. (This is where he lost the game for sure he should have combo charged my brutes and troll hag with all 3 units, accept that his right blood knights would die to Mawkrusha but that I would still need to take a turn to clear off the coven throne and whichever killed it would have to stay there, out of my Warchief and Krusha. That way he may have cleared off my brutes, damaged the troll hag and then would only have had to deal with the other 10 Brutes and by deal, just keep them away from vamp lord till he could charge them or score enough until I was out of the game). what actually happened was over this combat phase (and the next) he killed a couple of brutes in the bigger unit, all the 6 on the right (but not before they killed a vargheists), took troll hag down to 4 wounds left and killed my Warchanter. In return I killed everything except his Warchief and 2 vargheists, I got the priority for T3 and the Mawkrusha quickly mopped up the stranglers. A strange mission really for both of us because of the turn sequence I was able to maximise the effet of his -1 AS, but Marcus only really had two options advance and hope I don’t get the double (but at least he is on the objectives) or hang back and hope I don’t get the double (putting me on the objectives), a 50/50 either way but with my survivable heroes on balance I think he made the right choice, his mistake was not to capitalise on the luck (priority T2) and overload his strongest flank I may well have still had enough to drive through him but it could have gone to T4 or T5 and by then he may have had enough points to win or force a minor/draw. The other thing was not popping the chalice on the Dragonlord even when only lost 4 wounds on average that would be a decent result on a D6 and would have kept his lord alive another turn (though would have needed the over load as above to capitalise). Amazing game and opponent, he got my sport vote too (anybody with balls big enough to sit them down infornt of 30 Brutes a Hag and Mawkrusha deserves ✊ respect! Haha fair enough, I got a good look at her booty in your second batrep, that will have to keep me going for now! I've also got a Warboss on Boar with Waaagh! banner that I use in a fun Mixed Destruction list...I've heard a few people tout him as a potential ally, so I'm very interested to hear how you go with him. Personally I felt like I wouldn't be getting value from him if I wasn't using his Command Ability, and also you wouldn't get a Mighty Destroyers roll, plus all the other stuff that goes with allies (an extra drop, no contribution to the Mighty Waaagh). That being the case I couldn't see him justifying his 140 points. 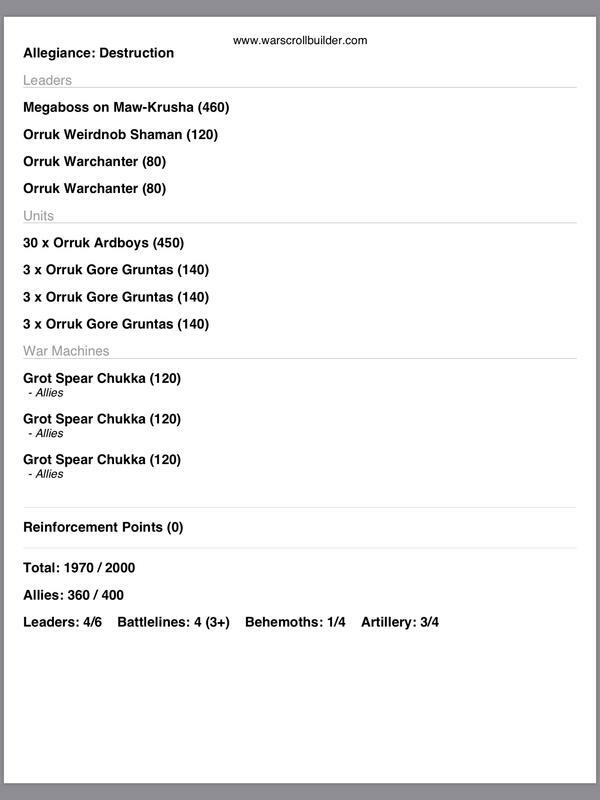 Yup that what I thought a bubble of Ardboyz around 2 spear chukkas and a warboss (as well as IJ characters) then brutes poised to counter charge or with 2” weapons fight over the top of the Ardboyz, might try to squeeze a footboss in as well for maximum rerolls. Yeah that whole "hitting over the top" thing is such a useful tactical option. Personally I've always used dual-wielding Brutes (even in 10s) because I find you can usually get most in anyway (especially on the charge, and with the Gore Hakkas at the back), and as they are whittled down you get more and more value out of the extra attacks vs the extra range. But that doesn't take into account the option to hit over the top of Ardboyz for example, which can be a significant tactical benefit that goes beyond "how many attacks will they do". I really should reconsider. I got a good look at her booty in your second batrep, that will have to keep me going for now! Phwoar!!! One for the 'bank indeed! Another great report @Sangfroid. Sounds like a great game and actually made me want to play Marcus! You did a good job of putting him over haha. I look forward to seeing how you get on with the Spear Chukkas. Do you have a full build you can share with us at present? I imagine it'll end up similar to mine and I guess that being the case I should probably make some comment about you trying to emulate the best Ironjawz player given you've highlighted me dropping out of our grudge matches hahaha!! Totally concede that you are the better ironjawz player @Chris Tomlin your results attest to that 100% I’m just a kill points chump ? the firstlist (with bale wind) I’d see as a purely defensive list side plac ethe gorepigs then wall army behind them behind a screen of Ardboyz (Brutes with 2” weapons to fight over ardboyz) Megaboss close enough to make gorepigs charge off with brutish cunnin. Weirdnob and spearchukkas then blast the enemy forcing them to come forward, or kill the right things so you can go forwards. 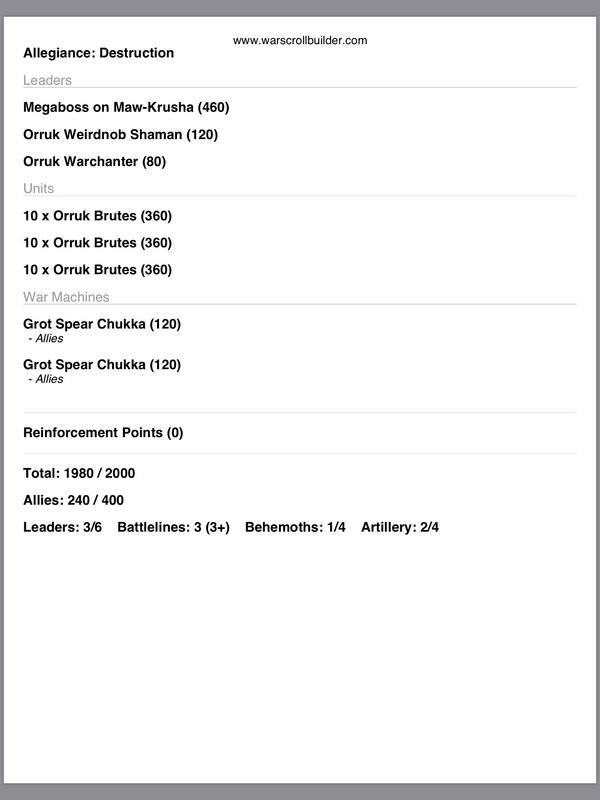 3rd list is more of a crack at a balanced list, the mighty horde as an anvil the Krusha and a hammer needs more work I think. @Sangfroid - I'm just razzing you mate. I am under no illusion that you are not the better Warhammer player and I'm fine with that. When it comes to Kill Point farming, there is most certainly no challenge anyway! 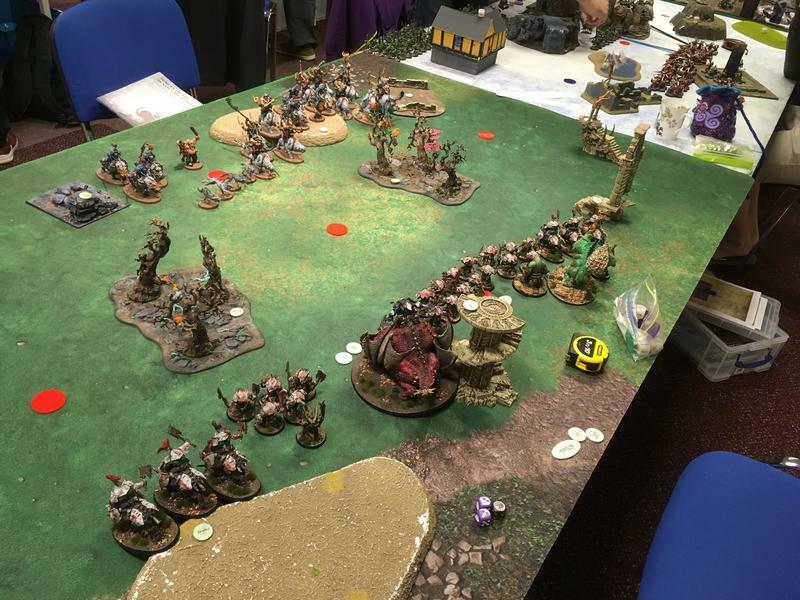 As we've long said, Tournaments for Ironjawz tend to be 3-2 and it's just whether you can get that rub (be it in game luck, or match up) to push for that elusive 4-1. I don't think anything actually changes in gameplay between 3-2 or 4-1 for either of us at this stage if that makes sense. We can do so much and then it's out of our hands almost. I certainly think we've both done ourselves proud anyway. In regards to your lists, I like them all in their own ways. The 3rd is similar to my current build with the exception that I cannot bring myself to go Brute-free. The core principle is still fairly similar I suppose, although I have not had any experience with the 30 Ardboys yet. "Wear your brown pants" looks brutal and should allow for plenty of #BRUTES funtimes. Kinda surprised you get 30 Brutes in that build. I actually think it could be good. I loved the first list and thought it looked insane until, you guessed it, I realised there was no Maw-krusha haha! I now do not like that list . I think you'd miss the Cabbage too much man. The Balewind is something I need to try though tbh. I look forward to hearing how you get on with some of these lists. Said like a true Megaboss casual dissmissal of my nice compliment by agreeing and then throwing me a little bone to keep the brute boss in line, class act! ????? Nothing wrong with just loving those big green rippling manly muscles and not feeling complete when not surrounded by at least 20 huge hulking men rippling with muscles and giant weapons. Read what I wrote again haha! Sometimes things cannot be un-said sir we will decide this the ironjawz way at the proper time, with krunk on his knees before Rotgor while his ladz flee the field around him! There was no typo, I think you misread!  Or does my sentence not say what I think it does? "I am under no illusion that you are not the better Warhammer player"
That means I know you're better...right?! It means that you are not mistaken that he is not the better player. I think what you wante to say is that you’re not under an illusion that he is the better player. its an awkward sentnce for sure, took me a few to really get that right. Which can mean either. If emphasis were placed on the word illusion then it could imply that despite your perception of @Sangfroid being better it's only an illusion and in fact @Chris Tomlin is the better player. On the other hand the word illusion here could equally be taken as equivalent to the word "opinion". Which means exactly what @Chris Tomlin meant it to mean. Over all a super murky sentence that, without the vocal component adding emphasis, could really mean anything ? "I am under no illusion that I am the better player." Is the sentence he was after, removes the double negative and adds certainty to the statement. One of the times English shows its ugly side. Haha nice! You’re probably right, especially since there are three major english branches: British, American, and ESL. I asked a few people over here, in Murica, some of whom are very compitent in their language and the final agreed opinion was that “illusion” in most cases would be taken as factual rather than opinion, simply by the reason that illusion as a replacement for opinion over here doesnt really work as a synonym. Illusion is collective and opinion is subjective. I’d say the same thing goes for my native language, swedish. I cant speak for british. Me reading the sentence, id not assume it was a subjective application to the word, but a subjective application to the sentence, because of “I am under.” Which thus means its a collective understanding that he is not being fooled by that Sangfried is not the better player. Yeah, this would've simplified things! I over complicated the sentence for sure. I read it back in my head a few times to the point it lost all meaning. I still think that what I originally wrote does mean what I wanted it to...but it's a poorly worded sentence whichever way you look at it! Thanks guys Just got back from a day of driving a total of 400 miles there and back for a single client meeting and this has made me smile and laugh a lot. Illusions or opinions matter little to Ironjawz but it’s nice to know the differences, there is no ambiguity around action. @Malakree surrendering in defeat...... seriously man! the mission was starstrike and the special rules meant all shooting was limited to 12” so we both basically gave zero f....yeah you know what I mean. Dan is a great player (currently the UK number 1) we have missed playing each other now ever since I began tournies so 3.5 years or so, so as soon as the draw went up we were over the moon at the prospect. Dan only had one list so while we were setting up I debated with him which I should opt for of mine, “maximum effort” would be the strongest choice from a pure combat perspective but because of the randomness of the meteors I ended up deciding on “Troll bagging” because I felt the goregruntas speed would be vital. but then the world exploded.... literally. 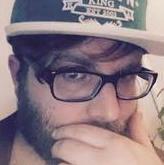 So Chris was effectively saying "I am not crazy enough to believe that I am the better Warhammer player". Which is also equivalent to saying "I am sensible enough to believe that you are better than me". Easy!